SearchExpress is affordable HR document management software that is so easy to install and use that you can rapidly deploy it in your HR department, or across your entire enterprise, without costly on-site assistance. SearchExpress provides employee onboarding, business process automation, workflow, records management, document capture, eForms and information security. In addition to searching, routing and approving HR documents from your desktop PC, you can search, route and approve HR documents from your iPad, iPhone, or Android. The investigator can upload emails, Word and Excel case documents directly to the SearchExpress case repository, by using a Save-to-SearchExpress menu item in Outlook and Office. The investigator can upload any relevant web page, including credit reports, Facebook, and Twitter. You can also upload audio, photo, and video files to the case. SearchExpress HR Document Management software lets you capture, index, route, search and manage your digital and paper HR documents. You save emails, Word and other Office HR documents directly to SearchExpress from your browser, without printing or scanning them. SearchExpress is easily integrated with your HR system so you can share data with your HR system and view your documents from your HR system. You can search by typing in a word or phrase. Also, you can search by highlighting a search word or phrase in your HR system. Your employees and job applicants can complete eForms over the Internet or intranet and optionally sign their signature with their finger or mouse, saving you the expense of printing and scanning and entering data written on paper forms. The user can attach a photo or driver's license or other file to the eForm. 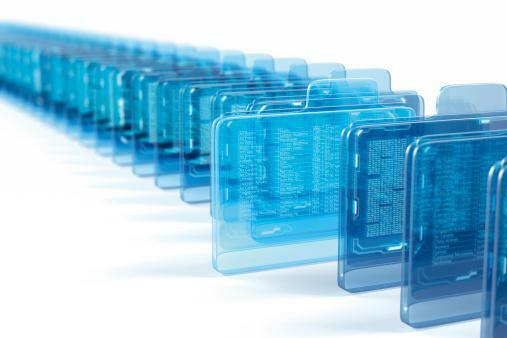 For HR document management search features, click here. For HR document capture and indexing features, click here. For HR business process automation (workflow) features, click here.